A superior formula designed to survive the harsh acidic environment of the stomach to support balanced intestines and balanced moods. Synergistic Blend: Isolating strains of probiotics, without a solid prebiotic foundation, may not allow your body the full benefits of gut support. 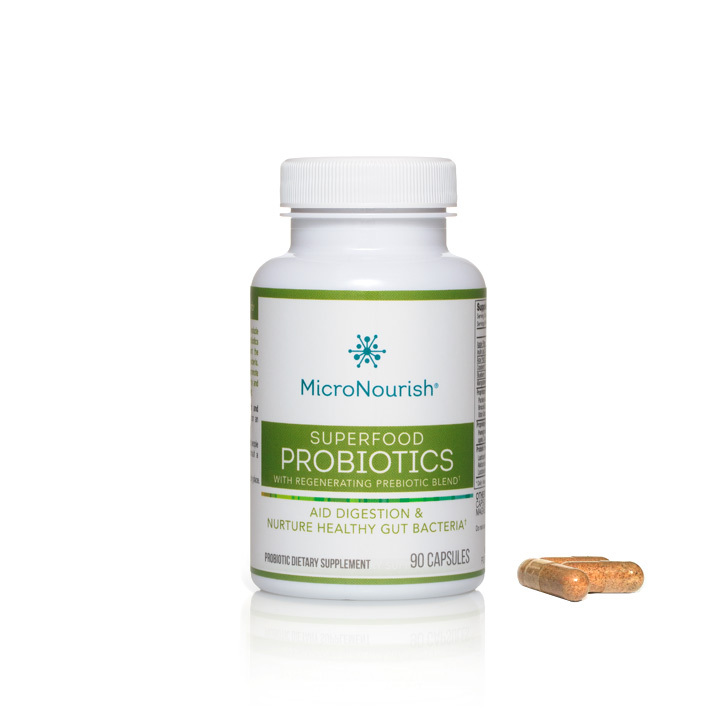 This nutrient combination was blended to aid your body in recognizing and unlocking the synergistic benefits of the probiotics and prebiotic fibers together. Whole Food Healing: Modern life can cause wear and tear on the gut walls. The prebiotics work to soothe the foundational gut lining (like soil fertilizer) that allows the healthy probiotics to flourish. Superfood Activity: The probiotics were blended based on what your body can absorb, and in a form that your body and brain can utilize. What Are Probiotics? What Are Prebiotics? Why Should You Take Both? Lactobacillus Sporogenes (aka Bacillus Coagulans) – Produces lactic acid that supports growth of beneficial microorganisms. Has unique quality that keeps it dormant in the bottle, and activates upon arrival in the intestine. Bifidobacterium Bifidus – One of the best probiotic strains of bacteria found in the system. Helps regulate intestinal homeostasis and is known to be one of the key “probiotics to look for” because of its ability to transit through the stomach to the colon. Lactobacillus Acidophilus – May improve lactose digestion by supporting production of the digestive enzyme amylase. One of the best probiotics because it is resistance to bile, low pH stomachs and digestive enzymes, making Lactobacillus Acidophilus more likely to survive GI transit to the colon. Bifidobacterium Longum – Non-pathogenic bacteria associated with improving lactose tolerance and decreasing occasional diarrhea. Lactobacillus Casei – Known to survive a range of temperatures and acidic environments, works with Acidophilus to support enzyme activity and thus, nutrient absorption. Lactobacillus Rhamnosus – Can survive acid and bile of stomach. Promotes normal intestinal permeability. Apple Fibers – Whole food fibers that help the formula transit through GI and encourage maximum micronutrient absorption through gut wall. Chicory Root Inulin – The properties of inulin aid repair of the gut wall from damage caused by external stressors. May enhance growth of intestinal bifidobacteria and soothe gut walls. Not digested in upper GI tract making them provide maximum benefit to the colon and small intestine. Acai Fruit Extract – May help soothe digestive tract. Cranberry & Blueberry Fruit Powders, Organic Vegetable Juice & Fruit Berry Blend – Superfoods that soothe and feed a healthy microflora environment in the GI tract. 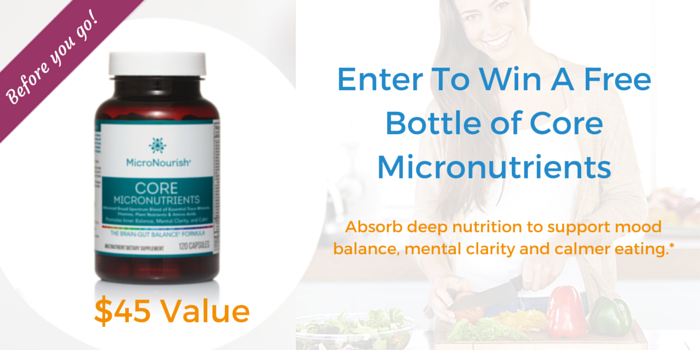 YOU ARE WHAT YOU ABSORB.® 8 Week Starter Kit – To Help Restore Balance, Clarity & Calm. * Please note: These statements have not been evaluated by the Food and Drug Administration (FDA). This product is not intended to diagnose, treat, cure or prevent any disease. 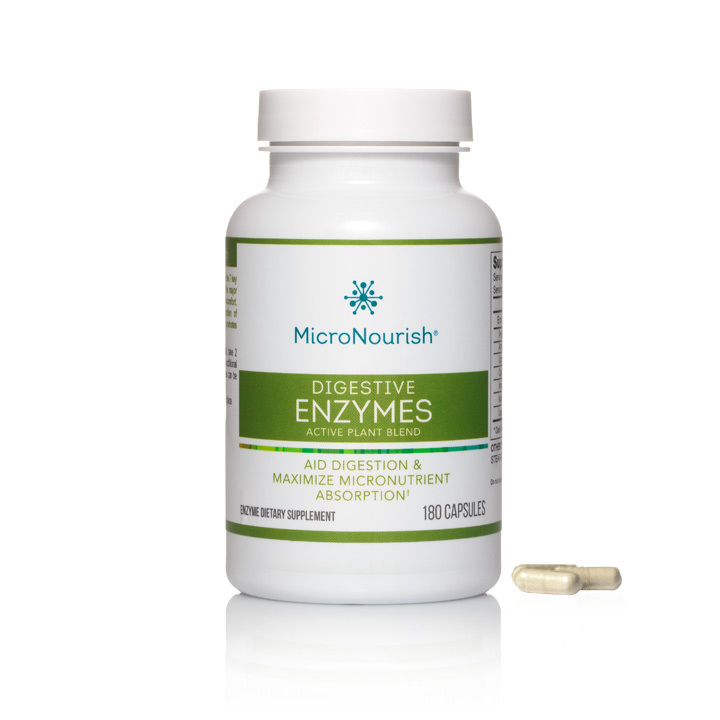 I started taking this product as I read that it’s PREbiotics that really make the difference in the long term. I really appreciate that I recognize all the ingredients on the bottle, and that the capsules show they are just whole-food ingredients and include fiber. They actually taste pretty good too so I empty them onto my yogurt or into my smoothie every morning. I have a practice for Chinese Medicine (including acupuncture) in Switzerland. A great digestive supplement I give to my patients in order to re-establish the natural balance of flora in the intestine. These products have shown to have great health benefits as they help to normalize the stool.